With all of the possible problems that result from the loss of electricty, it is wise for every household and business to invest in a portable generator. Our reliance on electricity continues to grow and without it even for a short period can render us helpless. In the event of a major storm, disaster or power outage, having a generator at your disposal could save you from unecessesary hardship. Though most generators will not power your whole house simultaneously during an outage, major appliances, sump pumps, computers and necessary lighting can be powered during an outage with the properly specified generator. Portable generators are easy to use with options including electric start for easy starting and also no-flat wheels for ease of mobility. 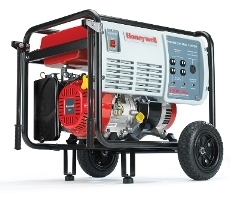 Make sure that the generator you choose has a large fuel tank, portability, sufficient outlets to run the devices you need, and clear instructions and support from the manufacturer.